Installation Exhibition: The Flowers, My Head… and Popcorn! 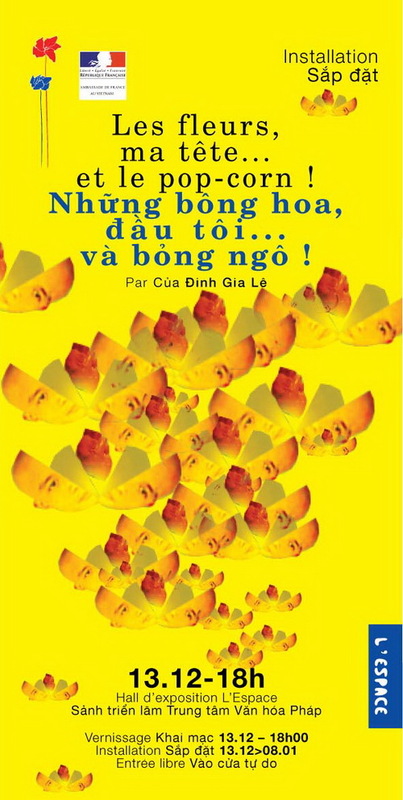 You are invited to an installation exhibition by Dinh Gia Le at L’Espace. Dinh Gia Le stated: “In my garden, there is a pond full of water lilies. I like to watch them grow up and bloom to beautiful flowers. But will my head be like a flower or will it pop like popcorns? What will be in it? People just could see nothing through their mundane eyes”.